Hello, I am Deanna and I blog over at cookingtherecipe.com I am thrilled to be participating in this blog swap meet today! I like to thank Kallee for swapping with me. Her post is on my blog and my post is on her blog! We hope that our wonderful readers will enjoy this little variation from our regular postings!This year I am having a crazy Halloween party,and i founds these really fun cocktails that you could also serve with or without the alcohol. 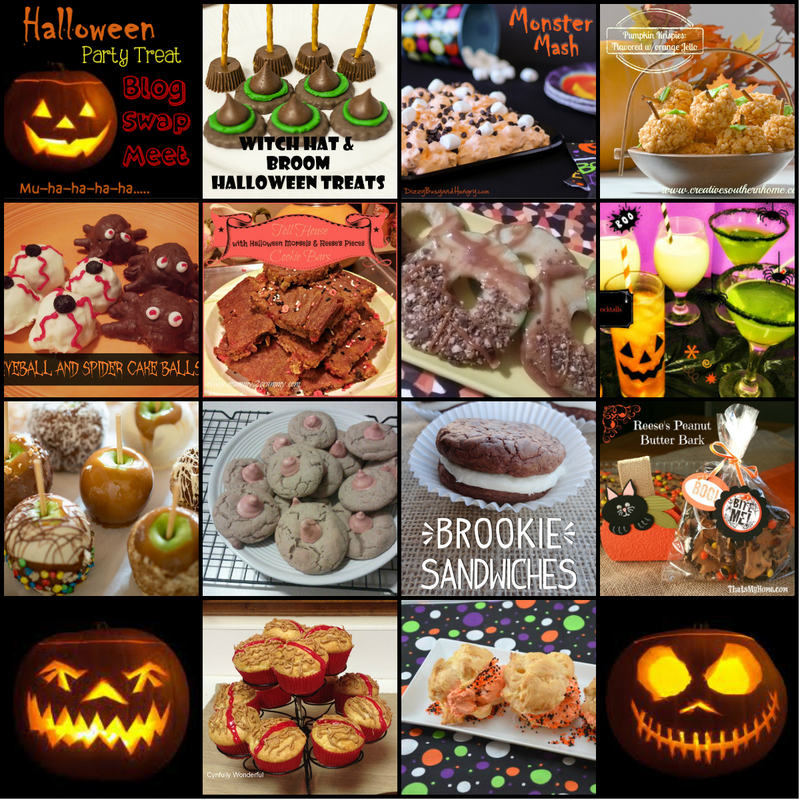 In the spirit of Halloween I also though it would to fun to share the recipes. Ice, 1 1/2 ounce pumpkin puree, 1 1/2 ounce vanilla vodka, 2ounces apple cider, 1 1/2 ounces spicy ginger ale, such as bruce cost. In a cocktail shaker filled with ice, combine the pumpkin puree,vodka,and apple cider. Shake for 10-15 seconds. Strain into Collins glass filled with ice and top with ginger ale. All those drinks sound delicious! Thank you for sharing. I love these drinks, so fun! I imagine you could make non-alcoholic versions for kid parties too. I am so glad you could participate in our Blog Swap Meet! I am heading over to check out your recipe as well!